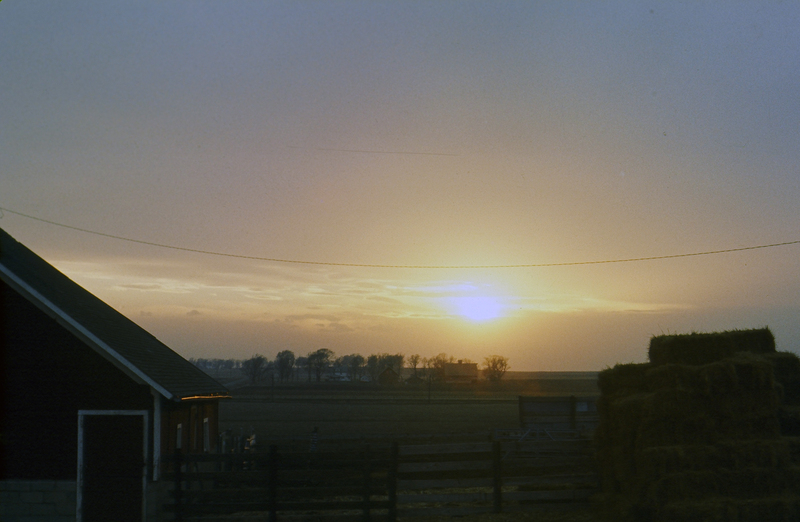 “The farm that I lived on in Iowa was like a 500-acre pig farm and they lived very nicely. They had more food that you could shake a stick at and with working on a farm there were like four meals a day. The activity there was pretty much that you helped out with the farming. Because they knew that this was some rich kid from Connecticut, they gave me, the first Saturday I was there at the farm, they said, “OK, John, your job is to go shovel out the pig manure out of one of the barns.” I gagged many times in doing it and I can remember them thinking that was so funny that they had the kid out there from Connecticut doing that. I did that once and I threw up. It was so disgusting I vomited. They thought that was the funniest thing. It was a converted chicken coop that they put the pigs in. The ceiling was like, I had to duck down. So Saturday morning it was, “We’ll get the rich boy out there.” I wasn’t going to do that anymore.